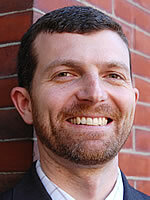 Jason Schupbach, Massachusetts's first creative economy industry director, is leaving that post to become director of design for the National Endowment for the Arts at the end of May, the federal agency announced today. Schupbach is expected to manage "the NEA's grantmaking for design and the NEA's design initiatives," the agency said. Schupbach was appointed to Massachusetts creative industry director – billed as the first such position in the nation – in June 2008. The NEA touted his accomplishments here growing "new industry cluster groups, such as the Design Industry Group of Massachusetts (DIGMA), and launching a Design Excellence initiative, an effort to improve procurement processes in Massachusetts in order to build more sustainable and longer-lasting buildings and communities, and increase the number of designers being offered contracts."